Erin Shebish is a certified success mindset coach with a passion for helping women overcome obstacles to create a business and life they absolutely love. She offers private coaching, group trainings and e courses to reach her goal of helping women create the success and fulfillment they want and deserve. She’s been working online for 7 years; managing multiple blogs, teaching classes and leading online communities. When she’s not working, you can find Erin at home with her husband, three sons and menagerie of pets. Have questions, comments or concerns? Email Erin at hello@erinshebish.com. Starting a business doesn’t have to be stressful. Join the Blissful Business Virtual Summit to go from Overwhelmed Mess to Blissful Success! You want to start an online business but you’re not sure where to start, how to start or if it’s even possible. You’re overwhelmed with all the moving pieces that are involved in keeping a business going and growing. You know that you want to be successful but you want it to involve more than just numbers. Should you be happy pursuing your dream? You need someone to just lay it out for you. 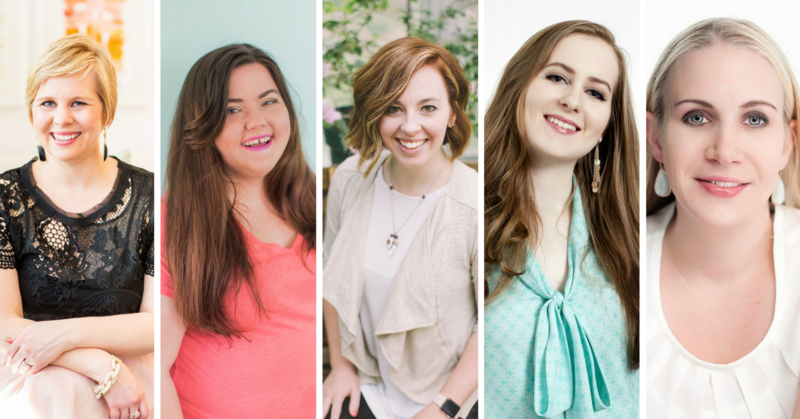 You want the truth about running a business from real women doing just that. This Summit is for YOU! This pre recorded summit brings you the knowledge and expertise of 25 successful female entrepreneurs without you ever having to leave the house. That’s right. 25 women have come together to pull back the curtains on running an online business. And they’re sharing everything you need to know to get started today. I get it. Physical events are fun. But this summit is designed for you to watch and implement. And that’s really what it’s all about. With each session, you’ll learn powerful lessons to put into action right away. And the Blissful Business Virtual Summit is bringing you nothing but the best for our debut event. You Know the What. Let’s Talk About the When. This years summit will be live from September 4-8 2017. This five day summit will feature 5 easy to digest sessions with actionable tips, inspiration and more. These sessions are absolutely powerful and will help you create a blissfully successful business. And you’ll find yourself coming back for again and again to glean even more wisdom for these amazing entrepreneurs. However, each session is only available to watch for 24 hours. After 24 hours, the replay is gone. The Forever Bliss Pass is Here to Take Your Further. And you know that’s what you want. Forever Bliss. Thinkific’s Bonus Package, including training courses, Migration Concierge Services, etc.